What is Brand Photography and How Can it Help Grow Your Business? There’s a lot of truth the old saying “a picture tells a thousand words.” That’s because images can help others understand who we are, where we are going and what we hope to accomplish. Business imagery is no different, especially as it pertains to creating and promoting your company’s brand. What is a brand? A brand is something that distinguishes you from your competitors and gives your audience a clear understanding of what you do. Great brands, like Apple or Harley Davidson, can inspire fan followings that extend their retail offerings. The images that you choose to represent your company are integral to your brand. 32% of marketers say visual images are the most important form of content for their business. We’ve compiled some tips and tricks to make sure that your brand is on point and represented properly in all of your visuals. Although this point isn’t specifically related to photography, it is the most important element in this blog. To create a solid brand presence through visuals, you must have an excellent understanding of what your brand is. You should know what your company wants to achieve, how you want to present yourself and the overall feel of what you’re looking to accomplish. There are plenty of tools and online checklists that can help you develop your brand identity. Make sure that you have a solid brand and focus before attempting to define it through pictures. Although you need a solid understanding of your brand and brand focus before trying to represent it visually, there is always room for your brand to evolve. That’s why it’s a great idea to keep inspiration boards. These inspiration boards can be located online or be physical, like a corkboard. The whole idea here is to collect things that grab your interest and speak to your overall brand. Don’t worry if it doesn’t all make sense, or if the items that you’re collecting are not in your industry or sector. These inspiration boards will come in handy when you need a creative boost or want to branch out in a new direction. This goes hand in hand with your branding strategy. Every businesses audience is different, and they all like to be communicated with in ways that appeal best to them. When thinking about how you’re going to represent your brand visually, you’ll want to think about your audience. Will they respond well to whimsical photographs? Are they more interested in being communicated with a serious fashion? Your audience will dictate how you visually represent yourself. You’ll want to appeal to them ultimately. Remember, you’ll be able to tweak your brand from time to time, so don’t worry about getting it perfect right off the bat. There will be a little bit of trial and error, especially in the beginning. Now it’s time to start collecting images! You know what direction you want your brand to move in. You understand the mood of your brand, and you’re ready to share it with the world. If you are collecting images online always make sure that they are copyright free. Websites like Unsplash and Pixabay are great resources for free imagery. 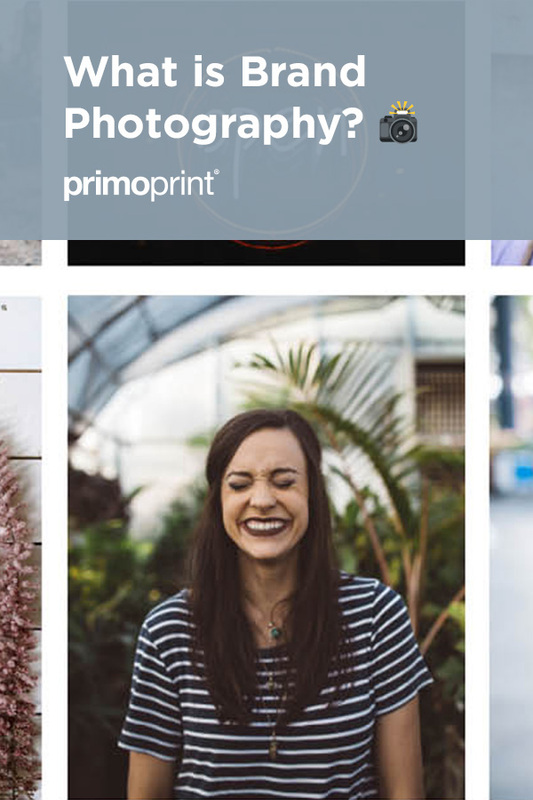 Check out our list of the Top Websites That Offer Free Stock Photography. Did you know that 93% of consumers cite images as a major consideration when making a purchasing decision online? If you decide to take your own photographs, it’s a good idea to take a quick online course. Lewis, from tripodossy, lists the Top 17 Best Online Photography Courses You Can Take Right Now! Also, take a moment and check out some YouTube tutorials or brush up on some common photography tricks that will allow you to make the most of the lighting and composition. Always account for trial and error. Most people don’t get the perfect snaps right away, but if you continue working at, you’ll be able to get some good shots. Don’t be afraid to think outside the box. Experiment with different exposure levels or styles. Shoot in black and white. Fool around with photography tricks like forced perspective to make some images come right into the forefront while others stay in the background. The beauty of the digital age is that we can take as many pictures as we want without worrying about paying for each one. If you don’t like the picture, just delete it. Once you’ve honed down on what your brand is, you must keep it consistent. Brand consistency is the key to any successful long-term campaign. Think of all of the great brands out there. Their messages are often variations on the same theme. Their imagery has the same feel to it. Smart companies know that once they develop their brand, they need to continue promoting it along the same lines. Consistency is the only way that you will build up a big audience. It’s also imperative for making sure that people recognize your brand right off the bat. Think of brands like Nike. They don’t even need to run their logo in a television commercial. It is evident who they are merely by the visuals in the ad. Nike is an excellent example of keeping your brand consistent. This is another reason why it’s so important to establish those inspiration boards. You will lean on them again and again for ideas. Each new visual representation of your brand should be an offshoot of your core brand message. Photography is an excellent way to solidify your brand. If used correctly, it can be powerful and compelling. Make sure you start with a great brand strategy, know your audience and refer to your inspiration boards for new ideas. Play around with photographic techniques and keep your message on point. Doing all of this will set you on a path to success!